2015 Lito Sora. Picture credits - Lito. Submit more pictures. LITO is the first company in the motorcycle industry to develop a bike that combines electric motorization, sport-like performance and adjustable driving dynamics. 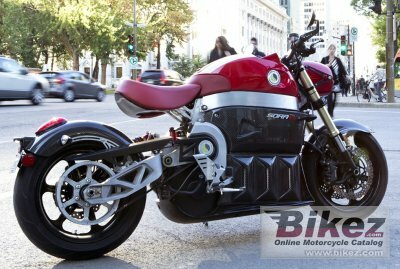 The bike features an electrical seat that allows you to shift between �custom� and �sport� handling as you ride. Comments: 12 kWh lithium-polymer battery modules with integrated Battery Management System, on-board charge. Recharge 9 hours. Range city 200 km. Made by Lito Green Motion. Ask questions Join the 15 Lito Sora discussion group or the general Lito discussion group. Bikez.com has a discussion group for every motorcycle. Here you may find answers to common questions about the model. If you do not find what you are looking for, you can ask questions. Try out the 2015 Lito Sora discussion forum. You can sign up for e-mail notifications when other users answer you. If you have information about any technical issue related to this motorcycle, please leave a comment for other riders.